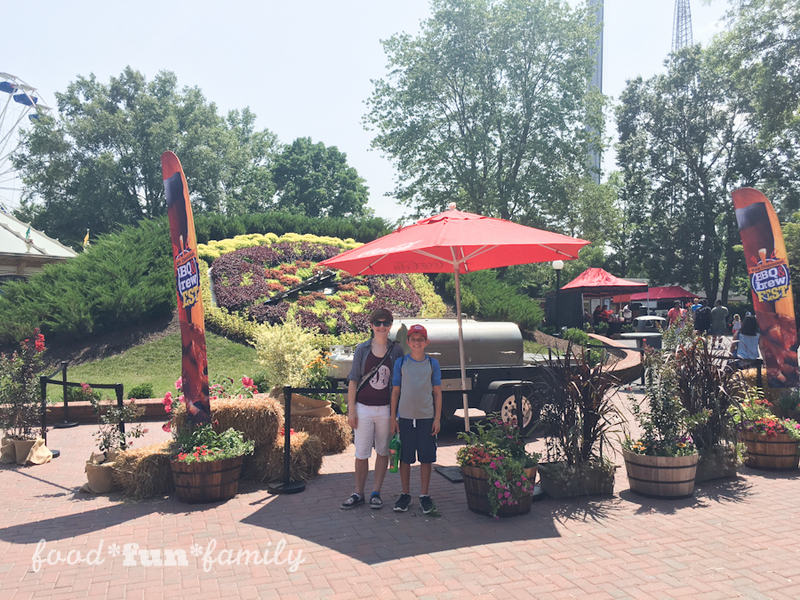 This past Saturday, three of my kids and I headed south to Kings Dominion for BBQ & Brew Fest. All I had to do was mention BBQ tasting and they were ALL IN. 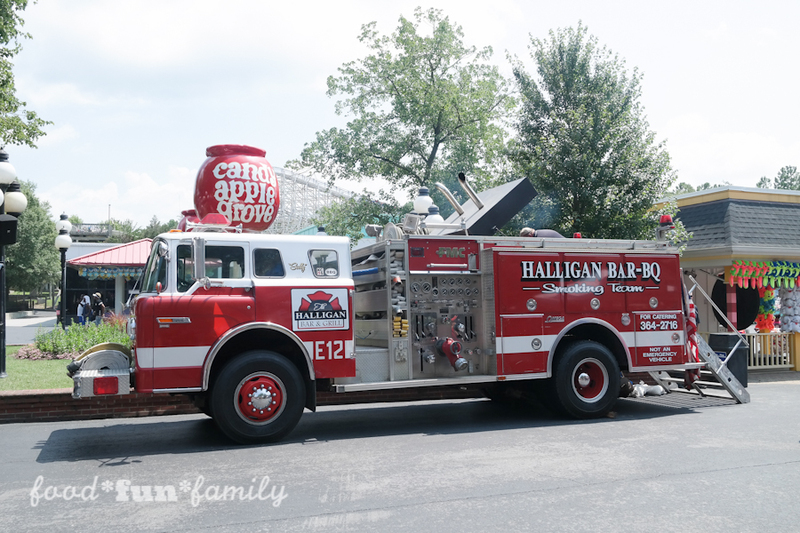 This post is sponsored by Cedar Fair Entertainment Company in conjunction with Blog Meets Brand, and I have been compensated for my participation. All opinions are my own. 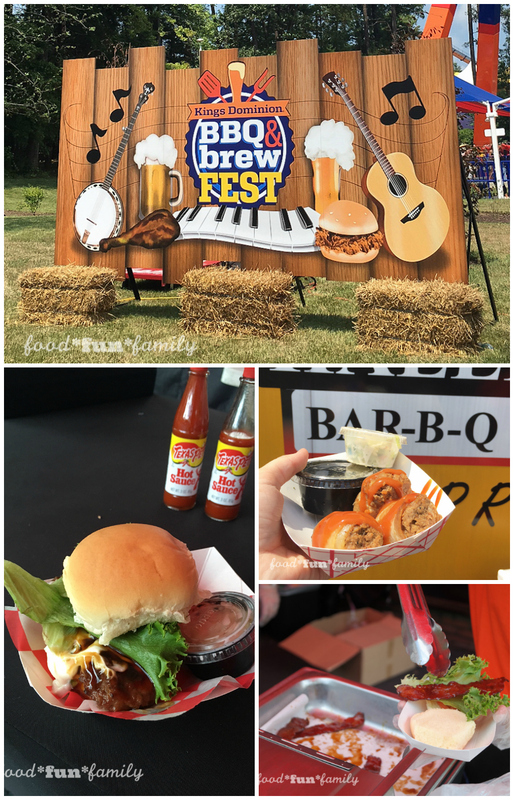 What is BBQ & Brew Fest? It’s simple! 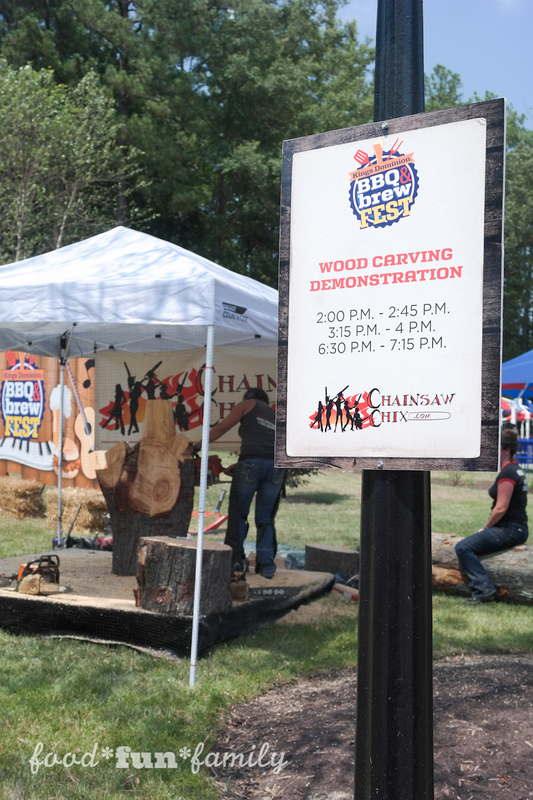 BBQ & Brew Fest is a three weekend-long festival celebrating great BBQ and local craft beer. 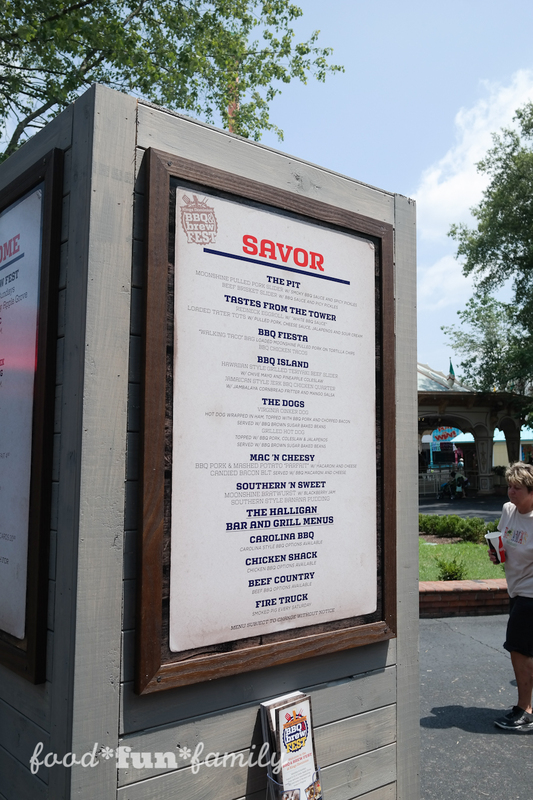 Guests can sample everything BBQ, from chicken to brisket to pork to ribs (and don’t forget the sides and desserts!). Guests 21 and over can enjoy signature craft brews from some of the area’s local breweries. 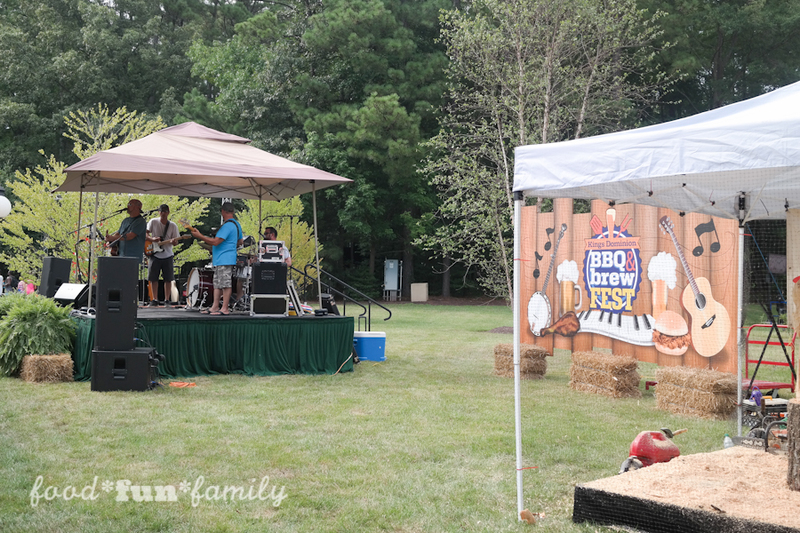 All that BBQ pairs perfectly with entertainment from live bands. 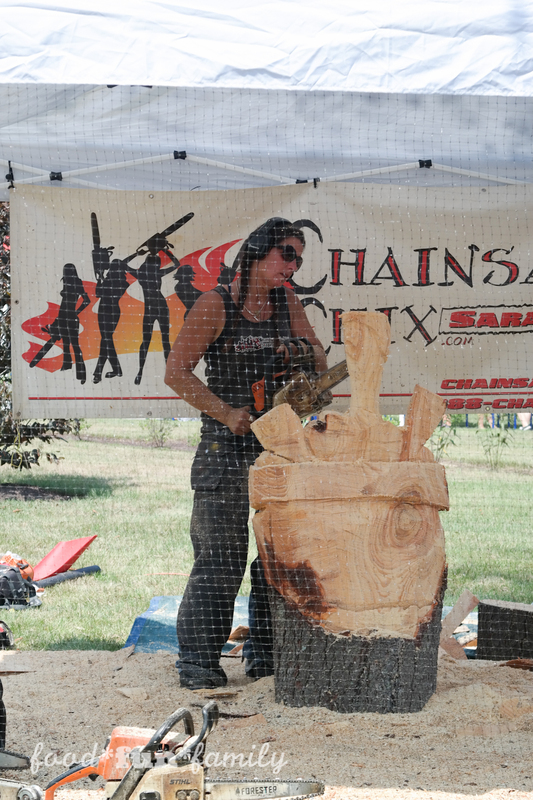 BBQ and Brew Fest runs Saturdays and Sundays, August 6 through August 21. 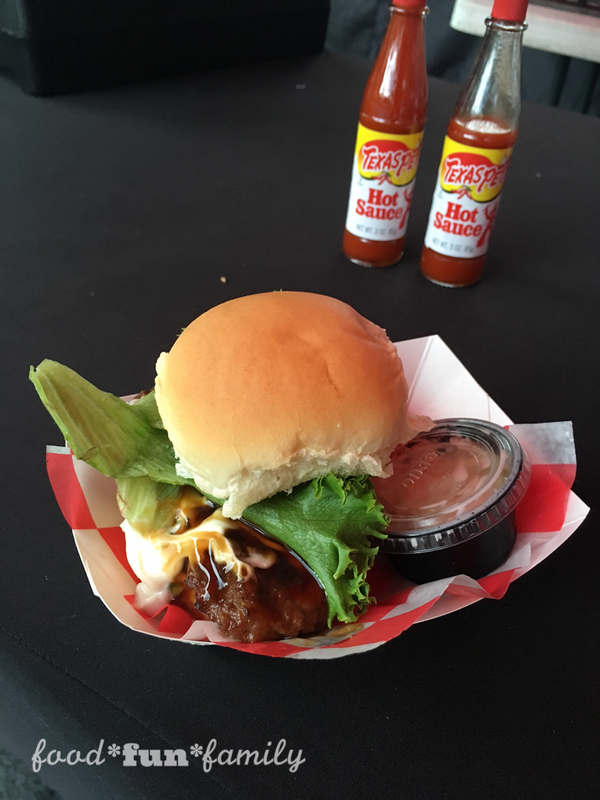 Where is BBQ & Brew Fest? 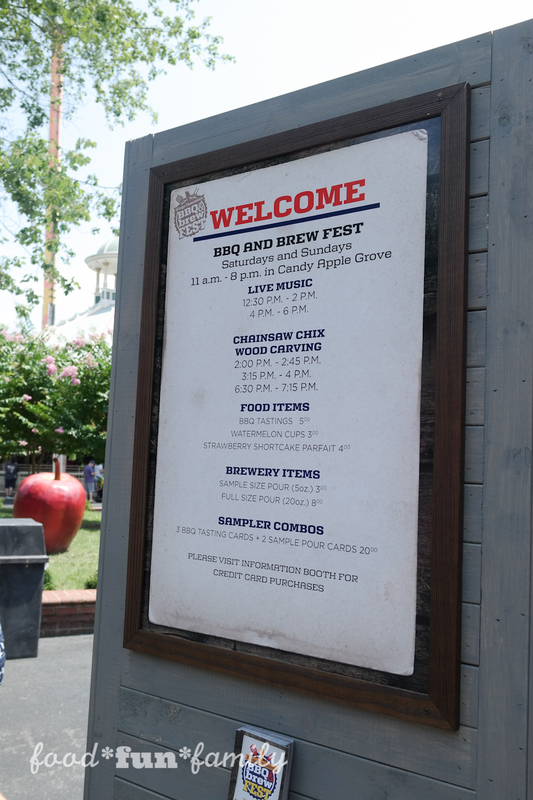 The BBQ & Brew Fest is set up at Kings Dominion along Candy Apple Grove. 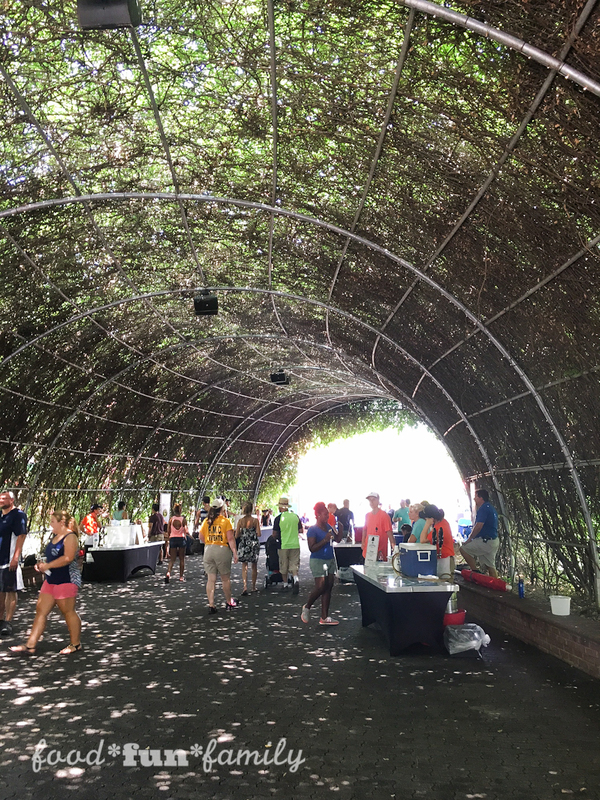 It’s easy to browse the different food offerings (all within a short walking distance around Candy Apple Grove) and then grab a shady spot to eat and listen to live music. 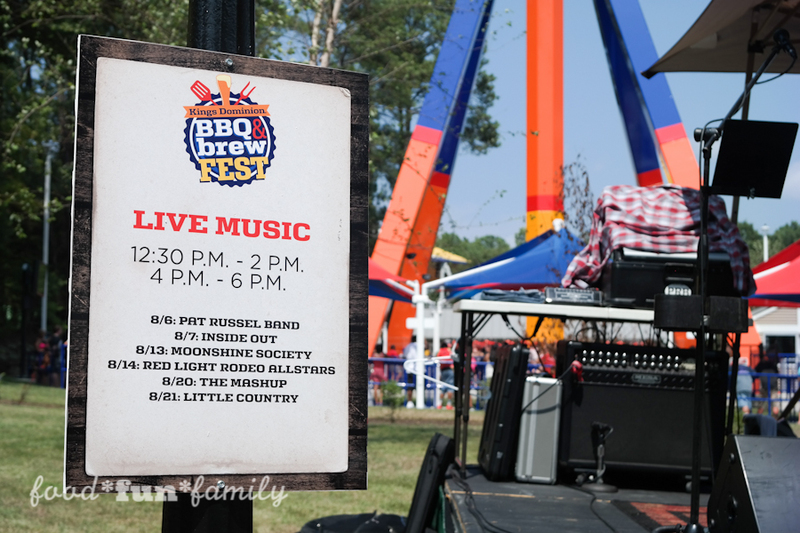 There is no separate admission fee for BBQ & Brew Fest – anyone in the park can enjoy. 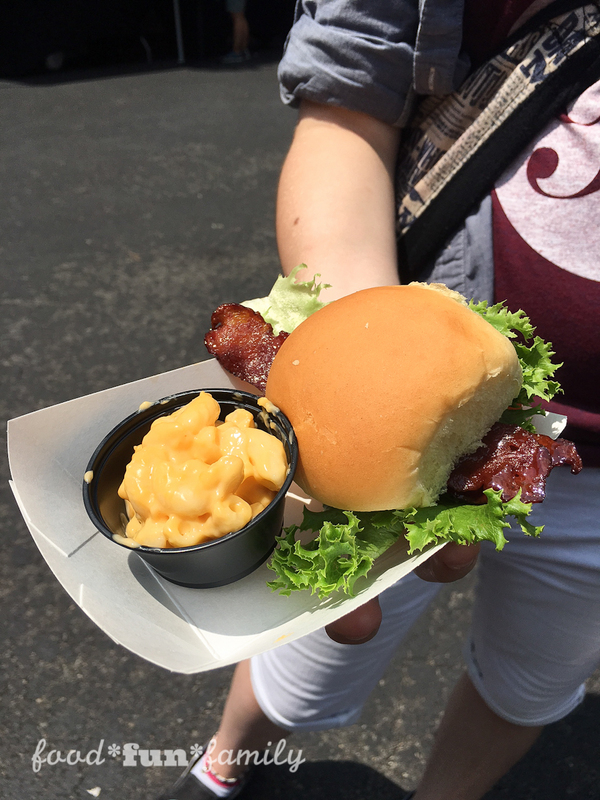 All food items are $5.00 each (except for watermelon cups which are $3.00 and strawberry shortcake parfaits which are $4.00); you can either pay cash or purchase sampler cards for $5.00 a piece. 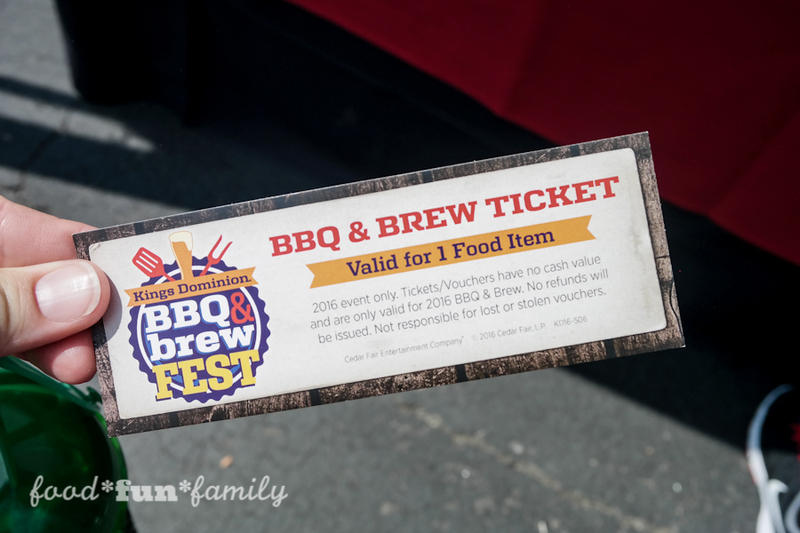 They’ve even got a discount card for $20.00 that get you 3 BBQ tasting cards and 2 brew sample cards. Sample size (5 oz) pours of beer can be purchased for $3.00. Full size (20 oz) pours are $8.00 each. I’m not a beer-drinker, so I can’t speak to how great the beer tasting was, but people sure seemed to enjoy it! The list of brewers is different each weekend. 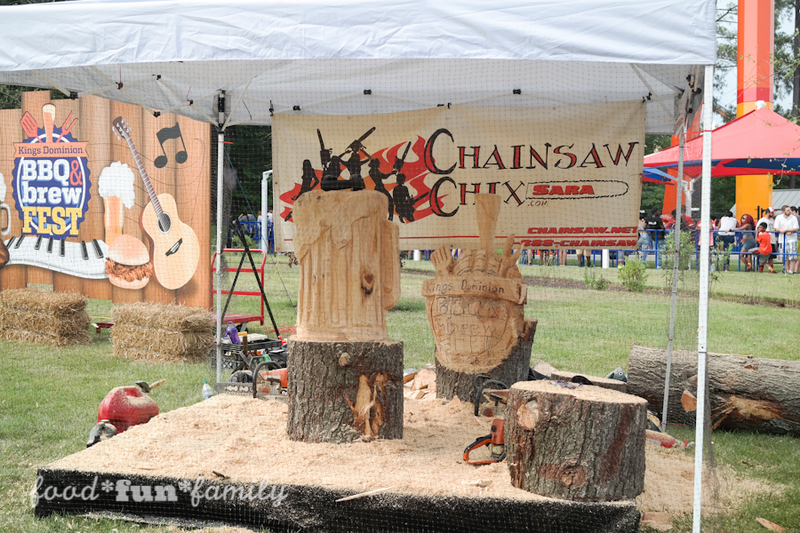 I love live music, so this was perhaps my favorite part of BBQ & Brew Fest! 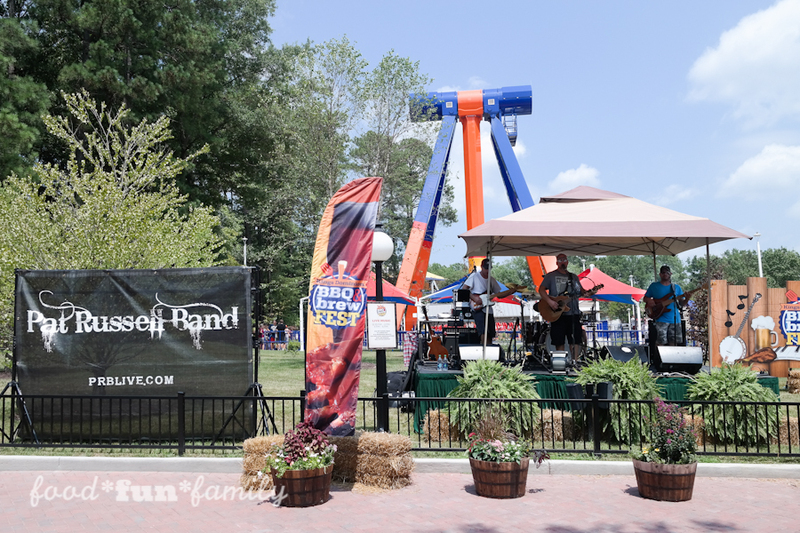 We loved the Pat Russel Band, and wish we could be there every day of the festival to hear all of the other live entertainment! 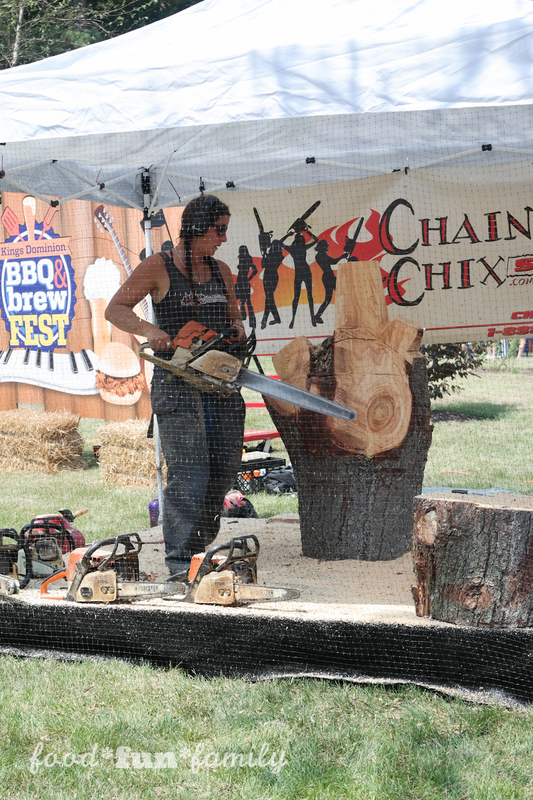 Also catch Chainsaw Chix each day at 2:00pm, 3:15pm and 6:30pm. They were fascinating to watch! 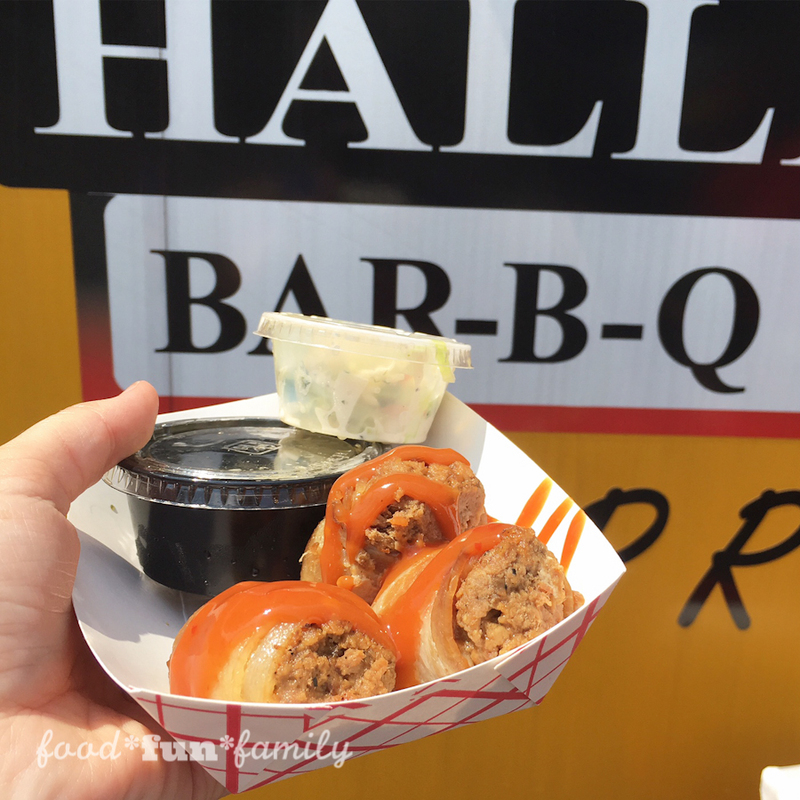 I loved everything about our experience at Kings Dominion BBQ & Brew Fest, except for the weather. It was almost too hot to do anything at all. 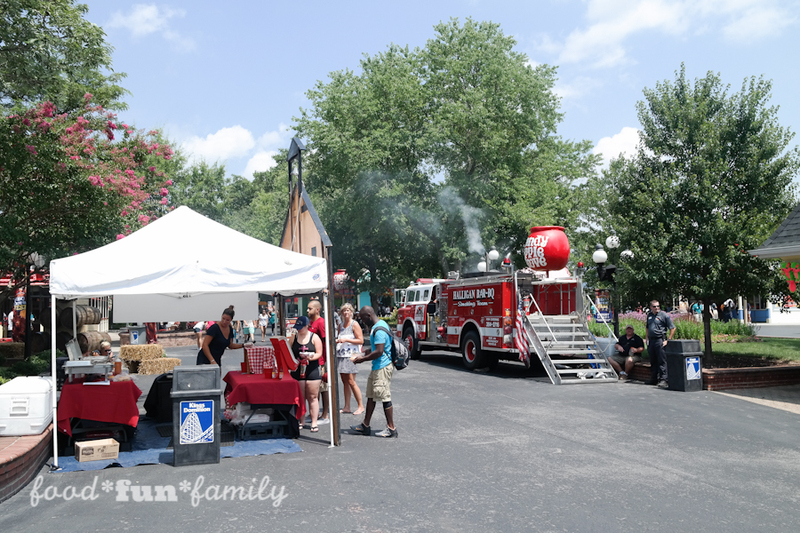 When we weren’t sampling the BBQ and listening to Pat Russel Band perform (in our shady spot), we were refilling our souvenir cups or ordering frozen treats to try to cool off. Unfortunately, because of my son’s stitches, we weren’t able to get wet (how mean would it have been to leave him while we went down a water slide or two?!) but we still had a blast on a couple of our favorite rides. 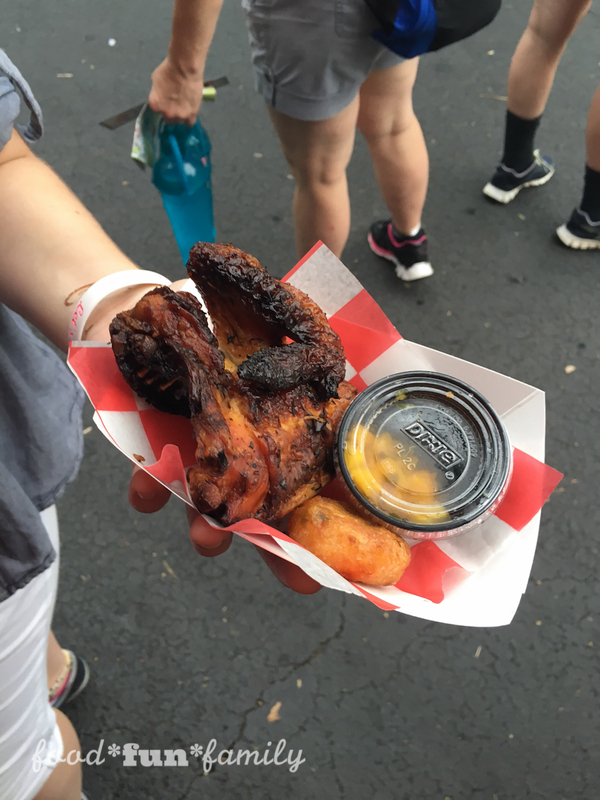 We’re definitely putting BBQ & Brew Fest on our calendar for next year! Looks like a fun and tasty place! My kind of place!